Made with the “presse method” this rosé is produced from the gently pressed juice of Pinot Noir grapes and entirely steel tank aged. It is a serious, yet fun, delicate wine absolutely perfect for summer. The 2016 Vaïla sitting at a very sensible 13.5% alc./vol. 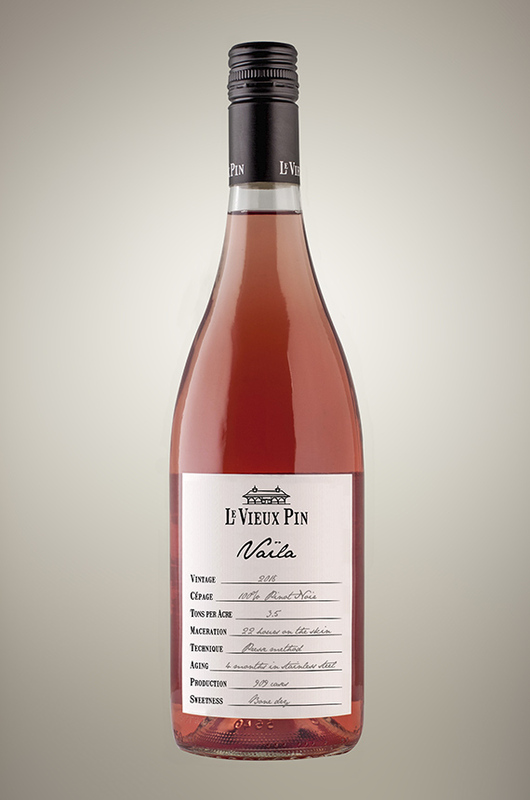 and presents a very pale salmon colour along with explosive aromas of rhubarb sorbet, pink grapefruit rind and the amazingly bright and crunchy red fruit BC rosés are increasingly becoming known and famous for. Charcuterie and artisan cheeses make for a classic pairing. A pretty dress tinged with a salmon color. A fresh nose with an average intensity of notes of rhubarb, pink grapefruit, orange peel and a pleasant tip of salinity that repeats in the mouth. Slightly rustic, but gives a lot of happiness to the aperitif or with a smoked salmon bagel. This is a superb bone dry, purpose grown and pressed pinot noir rosé. It has the generous crunchy red fruit pf the Okanagan Valley and its signature ripeness and richness, grafted on a medium-full bodied frame – 13.5% alcohol declared – more southern Rhone than Provence in weight. Lots of pleasure here. Drink or hold a year or even more; no rush here. Tasted April 2017.